Ladies Black Opal and Diamond ring with a mainly Red Black Opal accented with round and baguette Diamonds in 14k Gold. 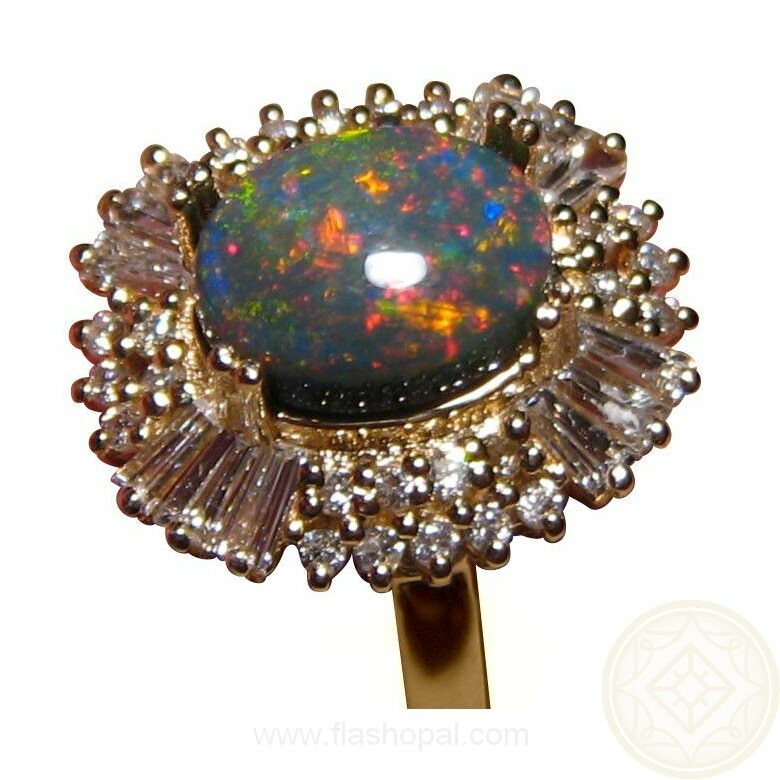 Quality Black Opal Ring for women who like their rings to be seen and this ring deserves to be shown off. 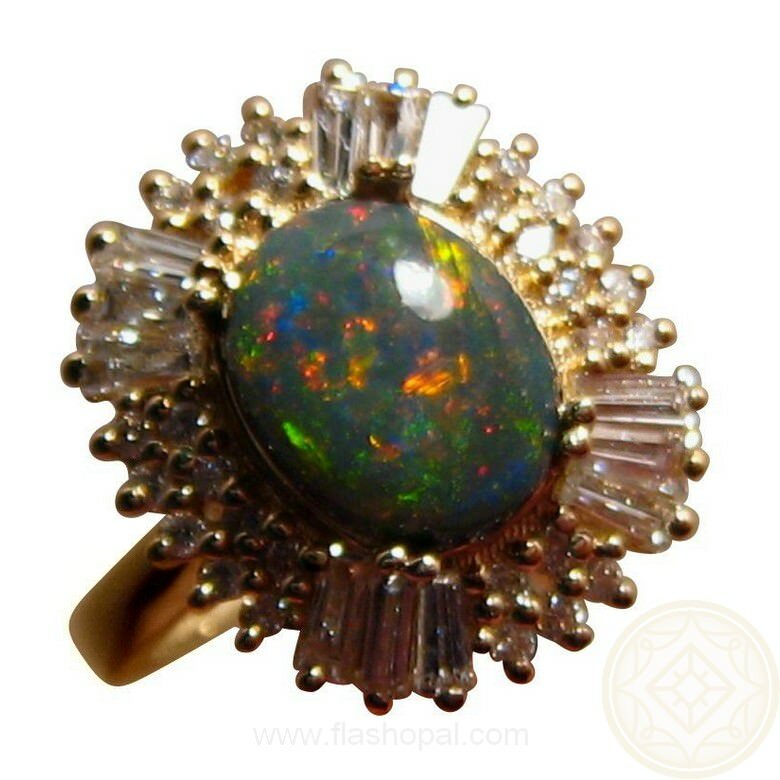 Featuring a natural Australian Black Opal with mainly Red color and some Blue, Yellow and Green in a Pin Fire Pattern. A true Black Opal with an N2 Body Tone, this beautiful stone is surrounded by two rows of round cut Diamonds with three Baguette Diamonds on each of the four corners to give it that extra sparkle, size and bling. This impressive ring is shown in 14k Yellow Gold as Red colors looks best against Yellow Gold however as the stone is not yet set, it can be mounted in a White or Rose Gold Ring if you prefer. This stone can also be set into a different setting mount if big, bold and flashy is not for you. The black opal alone weighs 1.7 carats and with just over one carat of diamonds, this dress or cocktail ring will be seen when worn. 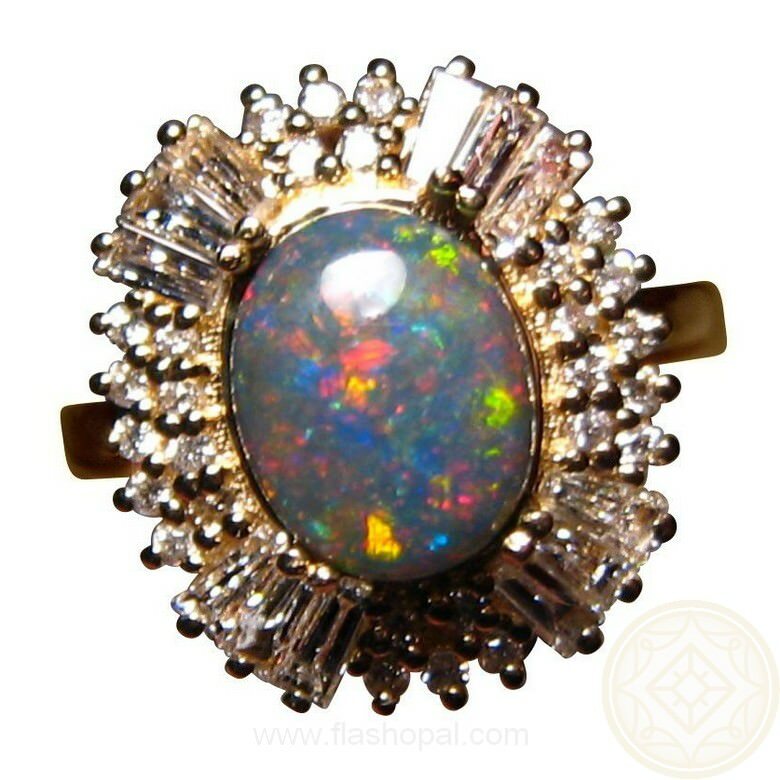 If you would like this black opal stone mounted in a different setting, contact via this product with your inquiry. This ring is ready to ship as advertised or will take 14-21 days for a different Ring Size and Gold Color preference. 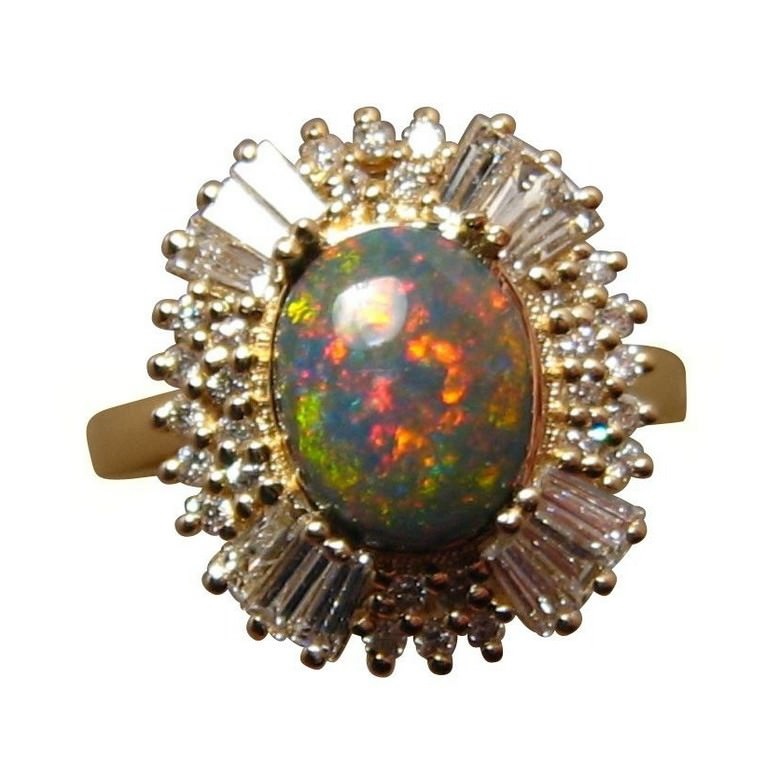 The prongs will be brought down over the black opal after purchasing and your ring size advised.